Hello Cubs! This is the page where you will find extra challenges and badge work that you can complete to earn points for your Six, or even earn yourself a badge or two! There will be a different challenge each half term or school holiday for you to do. 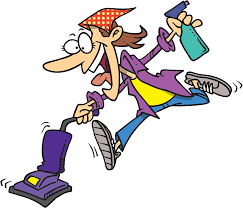 It’s time for a spring clean! Why not help out your parents around the house this Easter break and earn yourself your Home Help Badge at the same time? The attached sheet tells what you need to do to earn your badge – if you completed the Chef Badge the first 2 items can be ticked off straightaway!